Having grown up with German Shepherds my entire life I can easily vouch for the unwavering loyalty and intelligence of this breed. That long snout and those “talkative” ears that flick about and that signature Shepherd head tilt when you mention a ride in the car- be still my heart! With the high genetic standards this dog is known for, it’s no wonder there is an abundance of crossbreeds that have evolved over the years. In this post, we’re going to zero in on a rising star- the Miniature German Shepherd. What is a Miniature German Shepherd? What is the German Shepherd Dwarfism? What Does the Mini German Shepherd Look Like? Conclusion: Is the Miniature German Shepherd for you? Controversy is brewing in dog world regarding this Mini, and it’s certainly what we need to address first before discussing anything further. One side claims that the Miniature German Shepherd is a carbon copy of the standard German Shepherd. The other side claims it is a mixed breed. The truth is that the Miniature German Shepherd is indeed a crossbreed. Small-sized standard German Shepherds do not exist unless the dog happens to have dwarfism. To get a Miniature German Shepherd, the standard is bred with another purebred, most commonly the Collie or Poodle. If you are interested in a Mini Shep and believe it will be a lap-size replica of the standard with the same temperament and health, it’s important to know that this isn’t the case with mixes. You never know what you’ll get in terms of size, behavior, and appearance. Instead, take a look at the parents to get an idea of how a puppy could possibly turn out as an adult. For the Mini German Shepherd, there are the 3 possible parents (Spoiler alert: one of them is German Shepherd 🙂 ). This breed is world-renowned for its smarts. In fact, it’s regarded as the most intelligent dog breed in the world. 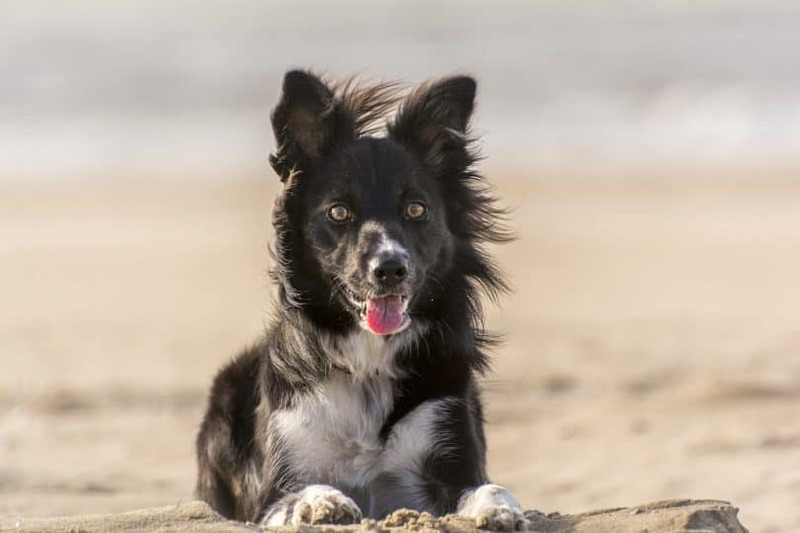 A lovable family doggo with talents for competition and herding, it contributes desirable personality traits to make a German Shepherd Collie mix. It can weigh up to 44 lbs (20 kg) with a height of 22 in (56 cm) and has a lifespan of up to 17 years. Some health concerns to be aware of with this breed include bloating and an eye anomaly that causes partial or complete blindness. There’s no shortage of talent and charisma with the Poodle. This dog makes an elegant and friendly family dog that is a fast learner. In fact, it’s ranked as the 2nd most intelligent breed. The Poodle excels as a competition dog and is also widely used for therapy. 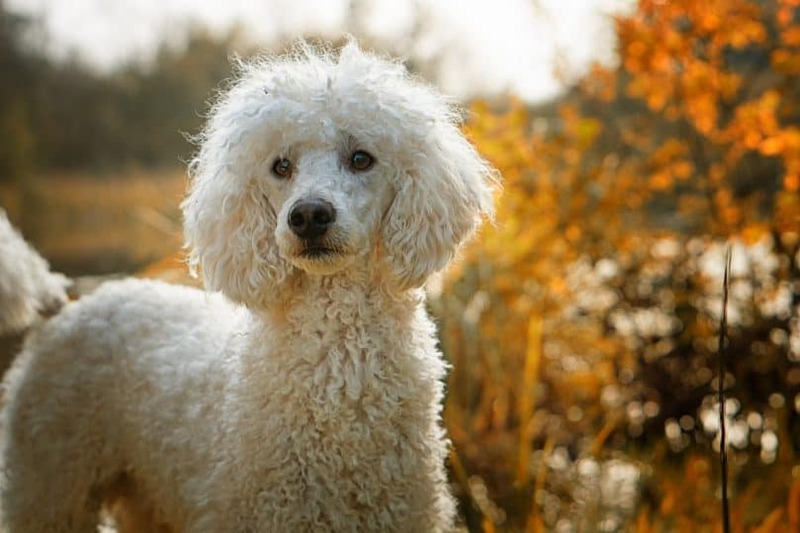 One distinction that sets the Poodle apart is its signature curly coat rendered “hypoallergenic” (keep in mind that this does not mean your Mini Shep will be as well). The Poodle can weigh up to 70 lbs (31 kg) with a height of 22 in (56 cm) and has a lifespan of up to 15 years. There are health concerns associated with this breed, such as epilepsy, canine hypothyroidism, and progressive retinal atrophy. The German Shepherd is sharp as a tack and completely dedicated and in love with its family. It’s a working dog used for rescue, police work, and therapy. Ranking as the 3rd most intelligent, you get a well-rounded dog that is not only stunningly beautiful with its thick coat, confident stance, and communicative features, but an excellent guard dog that will protect at any cost. It can weigh up to 88 lbs (40 kg) with a height of 25 in (65 cm) and has a lifespan of up to 13 years. For further insight into German Shepherd growth, take a look at this guide and chart. With the Shepherd breed, hip dysplasia is a common health issue that is seen in the Miniature variety as well. Shepherds are also known to suffer from a neural disease called degenerative myelopathy and endocrine pancreatic insufficiency, which is a digestive disorder. This is a rare inherited genetic disorder that results from breeding two purebred German Shepherds. A German Shepherd with dwarfism, though significantly smaller (weighing up to 30 lbs), will exhibit the token characteristics and mannerisms the breed is known for. It will also look like a typical Shepherd, except with shortened limbs. This is one way to procure a smaller than normal Shepherd, but there will be extra health issues to deal with, such as allergies and thyroid issues. It is common for these dogs to bald as they age as well. Here is a cute video that gives a glimpse into what life is like for a German Shepherd with dwarfism. 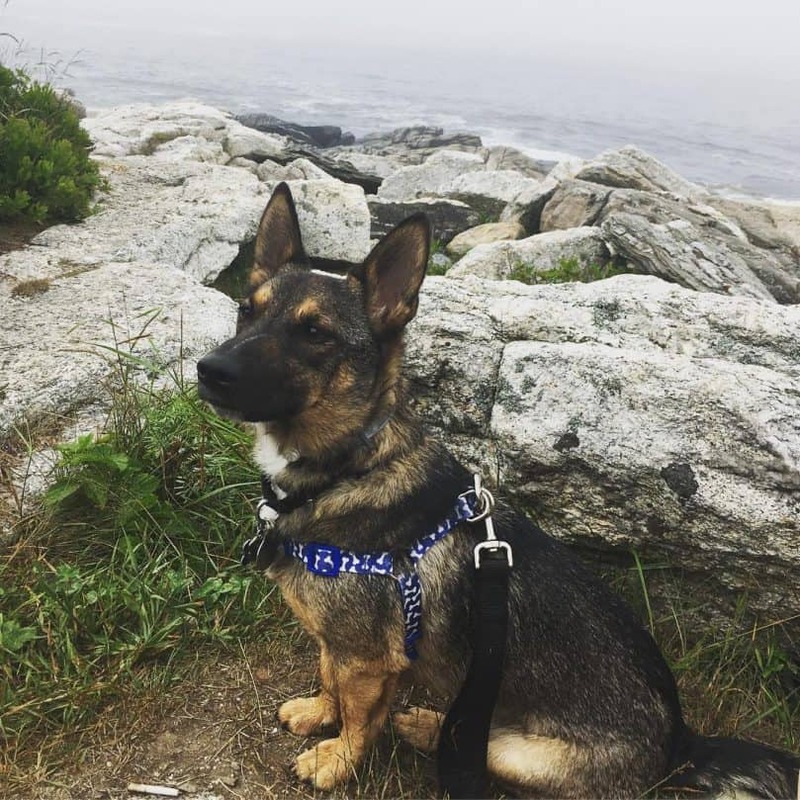 You’re probably expecting a carbon copy German Shepherd, but that’s just not the case with any crossbreed since you never know what you’ll get. The Mini German Shepherd is undoubtedly smaller than the standard one, weighing up to 50 lbs (22 kg). German Shepherds have distinct color patterns that include sable, black, white, black & red, black & silver and black & gold. Any combination of these colors can be inherited by the Mini. This is a herding dog at heart, so you can expect the Mini to be by your side rain or shine, watching and listening for any impending danger. They make excellent guard dogs but are good-natured. If you have kids, the Mini will take full responsibility for their safety, with a healthy dose of playtime and cuddling thrown in. Hardworking and intelligent, they make phenomenal search, rescue and therapy dogs. Training is a breeze, as this breed is a fast learner (remember, all of three possible parents rank TOP-3 in the smartest dog breeds list?). The earlier you introduce behavior commands and socialization methods such as walks in the park where other dogs can be encountered safely, the sooner you will see the intelligence blossom. You’ll have a dog that seems to never leave your side, rationalize before making a move and pursue a goal with agility and determination. As a crossbreed, it’s often said that a mixed gene pool equals a hardy disposition, but it still remains that the only way to get a sense of what to expect when it comes to health issues and longevity is to take a close look at the parents. Hip dysplasia is the most common inherited disease from the German Shepherd parent. This painful condition occurs when an abnormality in the hip socket causes the dog to become crippled or experience agonizing arthritis. To keep your small German Shepherd in good health, plenty of exercises is key. This breed is athletic with a high energy level that requires activity every day, whether it’s in the form of a long walk or playing ball. This breed is also prone to canine hypothyroidism, which can cause obesity. For Mini Sheps, it’s recommended to add a high multivitamin supplement to their meals for prevention. Breeders that guarantee their puppies will exhibit specific characteristics, look a certain way or grow to an exact size are providing false information. No one can guarantee how a mix will turn out. Instead, a worthy breeder will introduce you to the puppy’s parents and share their medical history. The breeder should be able to present health clearances for hip dysplasia and other common diseases. For a German Shepherd crossed with a border collie, puppies cost up to $950 while a Poodle cross can cost up to $900. Check out these Miniature German Shepherd breeders for available litters. These are German Shepherd rescues, but you can inquire about Miniature Sheps or dogs with dwarfism. It’s a full package of loyalty, love, and intelligence that comes in a petite size. 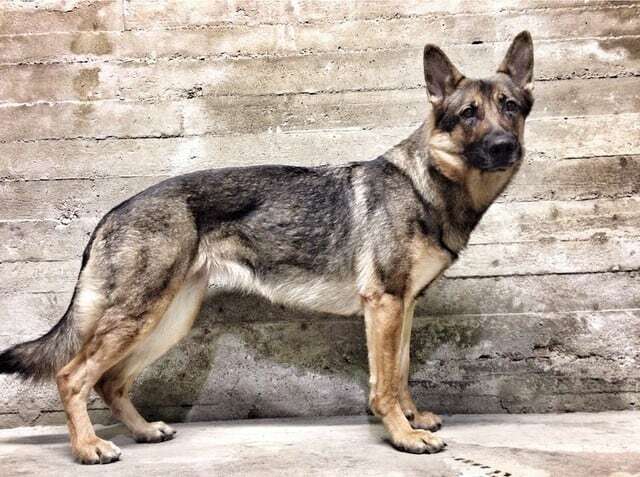 This is NOT a purebred, but rather a crossbreed with one German Shepherd parent. The other parent is commonly a Border Collie or a Poodle. 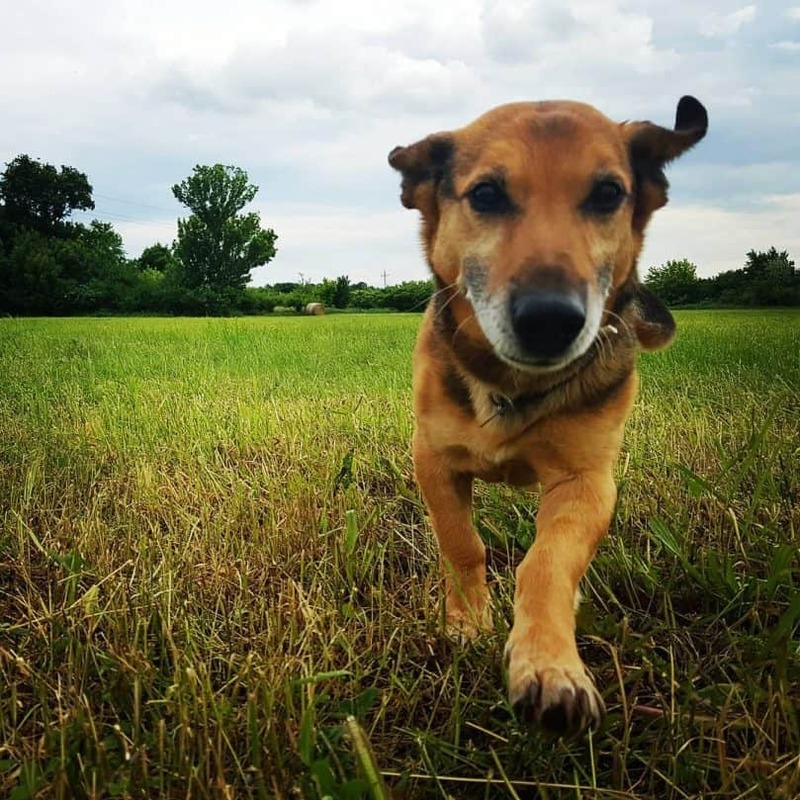 As a crossbreed, you won’t know what your puppy will grow up to look like or how its personality will be, but you can get an idea by researching the family background. The main pro of this breed is that it is known to be friendly and protective, and gets along well with children. 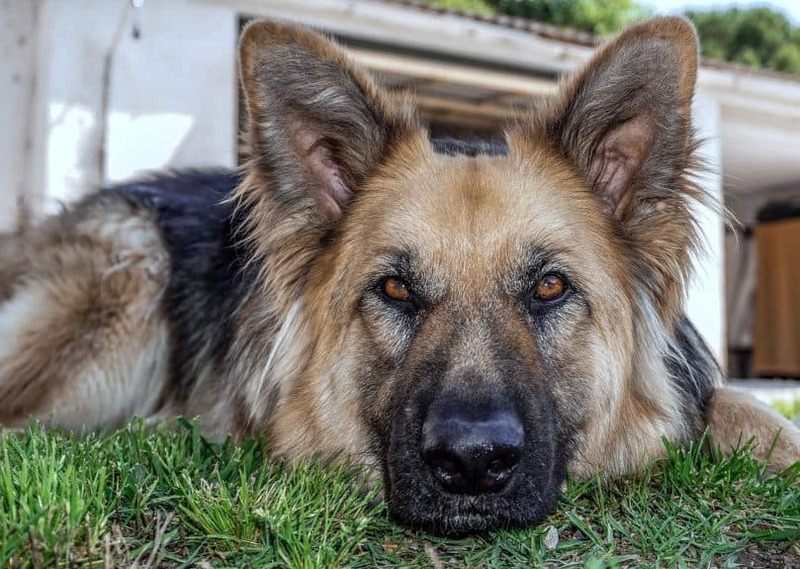 The con is that if you set certain expectations with this breed regarding temperament, appearance, and size, there is a chance you could be disappointed. Keep an open mind and you’ll surely fall in love with this loyal lover! What do you think about the Miniature German Shepherd? Tell us in the comments!